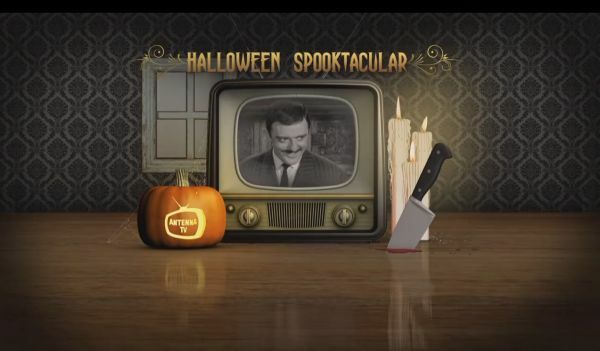 Turn out the lights and turn on the TV, Antenna TV's "Halloween Spooktacular" programming, airing on October 30 and October 31, is sure to keep you up all night! On Sunday, October 30 beginning at 3am ET, Antenna TV will air an Addams Family marathon of 18 episodes/9 hours, leading into a block of 30 Halloween themed episodes of Antenna TV's sitcoms, including: Bewitched, I Dream of Jeannie, Sabrina the Teenage Witch, Small Wonder, Hazel, Mr. Belvedere, Dennis the Menace, Evening Shade, Webster, Mork & Mindy, Newhart, Barney Miller, Wings, The Jeffersons and Johnny Carson. And finally on Halloween, Monday, October 31, Antenna TV will air an Alfred Hitchcock Presents marathon of 40 episodes/20 hours, beginning at 3am ET. A good evening indeed! For the week of Oct. 17-21, 2016, we have many current sitcom stars and past sitcom stars on TV talk shows! All times listed are Eastern. So get your DVRs (or whatever you use) ready! Ready? Here is all what you need to know for the coming week! Ben Vereen (Webster) - Ben will be featured on Oprah: Where Are They Now? at 10pm ET/PT on OWN. Kevin Hart (The Big House/Undeclared) - Catch Kevin on Watch What Happens: Live at 11pm on Bravo. Cobie Smulders (How I Met Your Mother) - Watch Cobie on Jimmy Kimmel Live! at 11:35pm on ABC. Miley Cyrus (Hannah Montana) - Miley is a guest on a repeat of The Tonight Show Starring Jimmy Fallon at 11:34pm on NBC. She will be on NBC's Today sometime between 7-9am. Randall Park (Fresh Off the Boat) - Randall stops by The Late Show with Stephen Colbert at 11:35pm on CBS. Chris Pratt (Parks and Recreation) - Chris is a guest on a repeat of The Tonight Show Starring Jimmy Fallon at 11:34pm on NBC. John Stamos (Grandfathered/Jake in Progress/Full House) - John appears on The Late Late Show with James Corden at 12:37am on CBS. Heather Dubrow (Stark Raving Mad) - Heather is a guest on Watch What Happens: Live at 11pm on Bravo. Kristin Chenoweth (Kristin) - Kristin visits Watch What Happens: Live at 11pm on Bravo. Rob Lowe (The Grinder/Parks and Recreation) - Rob reveals the moment he saved his own life and shares some of his secrets for looking so young at 52 on The Dr. Oz Show, so check your local listings. John Ross Bowie (Speechless/The Big Bang Theory) - John appears on Home & Family on Hallmark Channel at 10am ET/PT. Jill Kargman (Odd Mom Out) - Jill talks about Bravo's Odd Mom Out sometime between 7-9am. Ben Vereen (Webster) - Ben talks about The Rocky Horror Picture Show on NBC's Today in the 10am hour. Hilary Duff (Younger/Lizzie McGuire) - Hilary joins the Chew Crew on ABC's The Chew at 1pm ET/12pm PT/CT. Olivia Holt (I Didn't Do It/Kickin' It) - Olivia talks all about fall fashion, men's fashion, and the one wardrobe piece she'd be deviated to lose on People Now at 8:30am. Matthew Perry (The Odd Couple/Go On/Mr. Sunshine) and Tom Lennon (The Odd Couple/Sean Saves the World/Reno 911!) - Matthew and Tom are guests on The Talk on CBS at 2pm ET/1pm CT-PT. Nick Offerman (Parks and Recreation) - Catch Nick on The Late Show with Stephen Colbert at 11:35pm on CBS. He also talks about Good Clean Fun on NBC's Today sometime between 7-9am. David Spade (Rules of Engagement/8 Simple Rules/Just Shoot Me!) - David appears on a repeat of The Tonight Show Starring Jimmy Fallon at 11:34pm on NBC. Shia LaBeouf (Even Stevens) - Shia is a guest on The Late Late Show with James Corden at 12:37am on CBS. He will also be on The Ellen DeGeneres Show, so check your local listings. Cobie Smulders (How I Met Your Mother) - Cobie appears on The Late Late Show with James Corden at 12:37am on CBS. Casey Wilson (Marry Me/Happy Endings) - Casey is a guest on Last Call with Carson Daly at 1:35am on NBC. Randall Park (Fresh Off the Boat) - Randall visits Watch What Happens: Live at 11pm on Bravo. Wanda Sykes (The New Adventures of Old Christine/Wanda at Large) - Wanda stops by Watch What Happens: Live at 11pm on Bravo. David Hyde Pierce (Frasier) - David discusses the play A Life on LIVE! with Kelly, so check your listings. Victoria Justice (Victorious/Zoey 101) - Victoria talks about The Rocky Horror Picture Show on LIVE! with Kelly, so check your listings. Victoria and Christina Milian (Grandfathered) will be on the AOL Build Show at 5pm. Pamela Anderson (Stacked) - It’s been called an epidemic and a public health crisis. Now, Pamela is here to reveal what may be hurting your relationships and your health on The Dr. Oz Show, so check your local listings. Diana Maria Riva (Man with a Plan/Telenovela) - Diana appears on Home & Family on Hallmark Channel at 10am ET/PT. Andrew Rannells (Girls/The New Normal) - Andrew talks about Falsetto on NBC's Today in the 10am hour. Meg Donnelly (American Housewife) - People Now has five things you should know about Meg at 8:30am. Christian Slater (Breaking In) - Christian talks about King Cobra on the AOL Build Show at 12pm. John Stamos (Grandfathered/Jake in Progress/Full House) - John is a guest on The Talk on CBS at 2pm ET/1pm CT-PT. Paul Reiser (Red Oaks/Mad About You/The Paul Reiser Show) - Watch Paul on The Late Show with Stephen Colbert at 11:35pm on CBS. Paul, Alexandra Socha and Craig Roberts talk about Red Oaks on the AOL Build Show at 4pm. Ashton Kutcher (The Ranch/Two and a Half Men/That '70s Show) - Ashton is a guest on a repeat of Late Night with Seth Meyers at 12:36am on NBC. Anna Faris (Mom) - Anna stops by The Late Late Show with James Corden at 12:37am on CBS. Erinn Hayes (Kevin Can Wait/Guys with Kids/Worst Week/The Winner) - Erinn is a guest on Last Call with Carson Daly at 1:35am on NBC. Melissa McCarthy (Mike & Molly/Samantha Who?) - Melissa appears on a repeat of Conan at 11pm on TBS. Victoria Justice (Victorious/Zoey 101) - Victoria is a guest on Harry, so check your local listings. She also joins the Chew Crew on ABC's The Chew at 1pm ET/12pm PT/CT. Hilary Duff (Younger/Lizzie McGuire), Debi Mazar (Younger/Entourage/Working) and Nico Tortorella (Younger) - The stars of Younger take viewers behind the scenes of their TV home on Rachael Ray, so check your local listings. Candace Cameron Bure (Fuller House/Full House) - Candace reveals the true story of her eating disorder on The Dr. Oz Show, so check your local listings. Wanda Sykes (The New Adventures of Old Christine/Wanda at Large) - Wanda talks about her EPIX comedy event What Happened…Ms. Sykes? on the AOL Build Show at 2:30pm. Selma Blair (Anger Management/Kath & Kim) - Selma is a guest on The Talk on CBS at 2pm ET/1pm CT-PT. Christina Milian (Grandfathered) - Christina is a guest on The Wendy Williams Show, so check your local listings. Elijah Wood (Wilfred) - Catch Elijah on The Late Show with Stephen Colbert at 11:35pm on CBS. Lena Dunham (Girls) - Lena is a guest on a repeat of Late Night with Seth Meyers at 12:36am on NBC. Nick Kroll (The League/Cavemen) - Nick appears on a repeat of Late Night with Seth Meyers at 12:36am on NBC. John Mulaney (Mulaney) - John is a guest on a repeat of Late Night with Seth Meyers at 12:36am on NBC. Matt LeBlanc (Man with a Plan/Episodes/Joey/Friends) - Matt chats about Man with a Plan on CBS This Morning sometime between 7-9am and on LIVE! with Kelly, so check your listings. Randall Park (Fresh Off the Boat) - Randall is a guest on Harry, so check your local listings. Derek Theler (Baby Daddy) - Derek appears on Home & Family on Hallmark Channel at 10am ET/PT. Patrice Lovely (Love Thy Neighbor) - Patrice visits Home & Family on Hallmark Channel at 10am ET/PT. Zach Galifianakis (Baskets) - Zach and the cast of Keeping Up with the Joneses will be on NBC's Today in the 10am hour. Wanda Sykes (The New Adventures of Old Christine/Wanda at Large) - Wanda will be on NBC's Today in the 10am hour. She also joins the Chew Crew on ABC's The Chew at 1pm ET/12pm PT/CT. Victoria Justice (Victorious/Zoey 101) - Victoria talks about The Rocky Horror Picture Show on People Now at 8:30am. Anna Camp (The Mindy Project) - Anna talks about Netflix's Good Girls Revolt on the AOL Build Show at 11am. Cobie Smulders (How I Met Your Mother) - Cobie is a guest on Chelsea on Netflix. Matthew Perry (The Odd Couple/Go On/Mr. Sunshine) - Watch Matthew on a repeat of Jimmy Kimmel Live! at 11:35pm on ABC. Jerry Seinfeld (Seinfeld) - Jerry appears on a repeat of The Tonight Show Starring Jimmy Fallon at 11:34pm on NBC. Matt LeBlanc (Man with a Plan/Episodes/Joey/Friends) - Matt is a guest on The Late Show with Stephen Colbert at 11:35pm on CBS. Elijah Wood (Wilfred) - Elijah talks about Dirk Gently's Holistic Detective Agency on LIVE! with Kelly, so check your listings. He will also be on the AOL Build Show at 1:15pm. Lindsay Sloane (The Odd Couple/The Stones/Mr. Rhodes) - Lindsay visits Home & Family on Hallmark Channel at 10am ET/PT. Tom Hanks (Bosom Buddies) and Ron Howard (Happy Days/The Andy Griffith Show) - Tom and Ron will be on NBC's Today sometime between 7-9am. Christian Slater (Breaking In) - Christian talks about King Cobra on NBC's Today in the 9am hour. Anna Camp (The Mindy Project) - Anna talks about Netflix's Good Girls Revolt on NBC's Today in the 10am hour. She will also be on New York Live on WNBC in New York at 12:30pm ET. Jennifer Grey (Red Oaks/It's Like, You Know...) - Jennifer joins the Chew Crew on ABC's The Chew at 1pm ET/12pm PT/CT. Thomas Lennon (The Odd Couple/Sean Saves the World/Reno 911!) and Jason Biggs (Mad Love/Drexell's Class) - Thomas and Jason are guests on Chelsea on Netflix. Paul Reiser (Red Oaks/Mad About You/The Paul Reiser Show) - Paul is a guest on New York Live on WNBC in New York at 12:30pm ET.